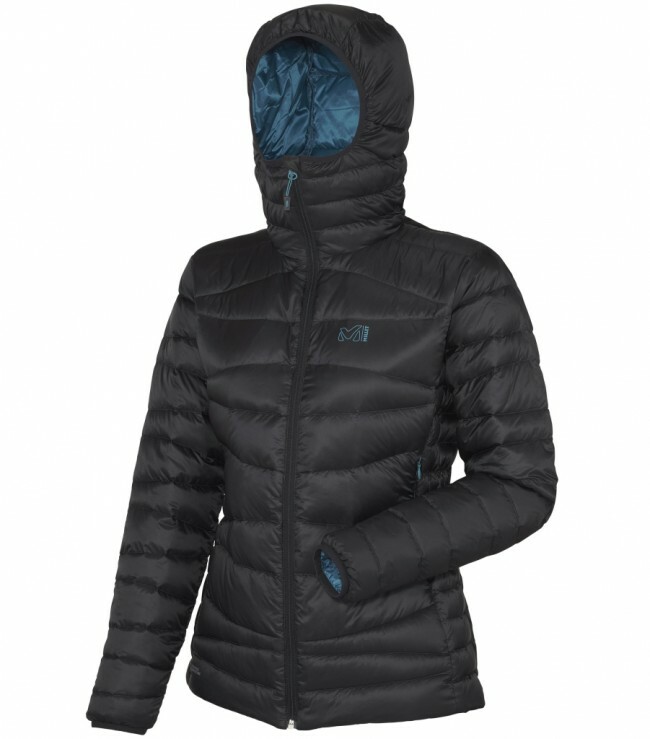 Millet LD Dual Heel Lift Hoodie Black - Noir - Compressible layer, easy care, insulated, protective This is the lightweight jacket we love for the mountain, the alpine ascent and every other occasion. This is the thermal jacket that can be wore as a layering piece under a 3-layer Gore-Tex or as a nice stand-alone piece on cool days. Designed for women, it is built for alpine activities. Made of a KDry Down Blend, it compresses completely into its interior pocket. Good news, you won’t be afraid to get wet: The KDry Down, protected with a water repellency treatment, is covered by a Pertex Quantum outer face, making it a perfect barrier in damp conditions. The active fit will shape your womanly body perfectly and protect you completely with an integral hood and a high fitting collar.